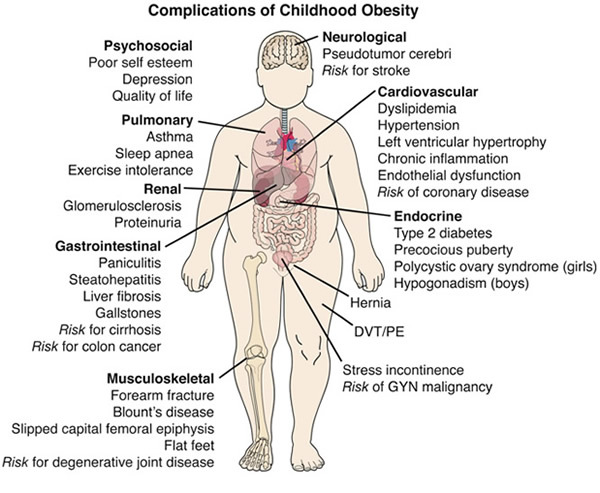 Childhood obesity affects the entire body, both physically and mentally. 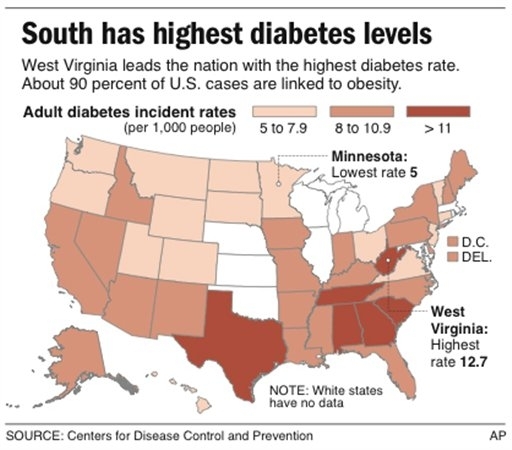 Heart Association found that "[more than] 75% of hypertension can be directly attributed to obesity." 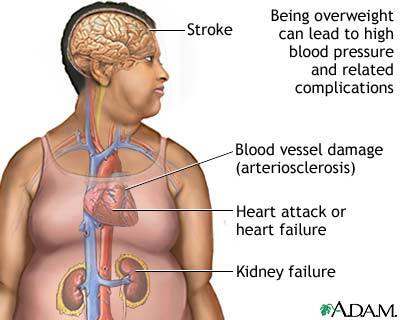 People who are obese have more problems with their heart, kidneys, stomach, and/or intestines because of the chemical effects of all the food they eat. 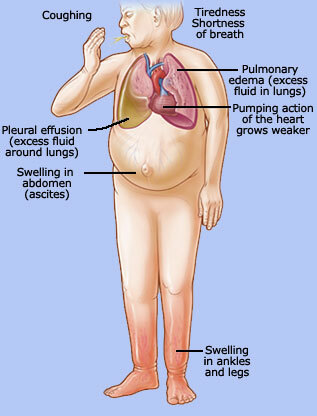 The respiratory system becomes impaired in overweight or obese people. Due to increased fat tissue deposits in the lungs, children, especially, can have difficulty breathing or can develop chronic bronchitis or asthma. These conditions make it harder for them to exercise, an important factor in starting these children on a healthier lifestyle. In addition, 40% of obese people have obstructive sleep apnea, a disorder that causes irregular breathing while asleep. People with this disorder are more tired during the day, which can lead to daytime sleepiness, a lack of focus, and irritability, among others. 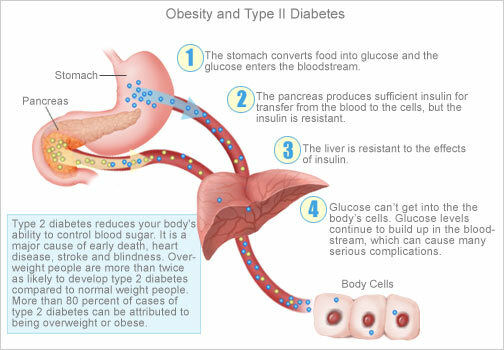 Type II diabetes and high cholesterol are 2 disorders of the endocrine system that occur frequently in obese people. In the case of diabetes, a person becomes resistant to insulin, which regulates blood sugar levels. 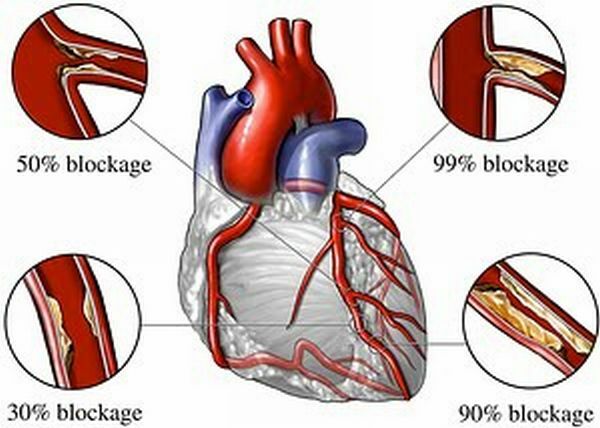 With high cholesterol, the body produces less high-density lipids -- the "good" cholesterol needed to stop "bad" cholesterol from causing plaque buildup in the arteries of the heart. A study, The Endocrine System and Obesity, suggests a possible link between obesity and hyperthyroidism, a condition that affects one's weight, metabolism, and mood, among others. 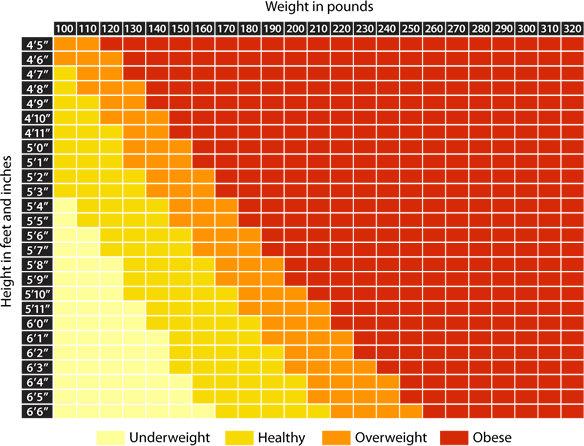 Body Mass Index (BMI) can be a simple way to estimate if a child is obese or overweight. Because BMI accounts for more than just lipids, which more accurately determine whether a person is overweight or obese, ask a doctor first.